Looking for a clean snack that is super easy, low in calories and tastes great? Chips and salsa will do the trick. Cut pita into 8 triangles and seperate the pocket. 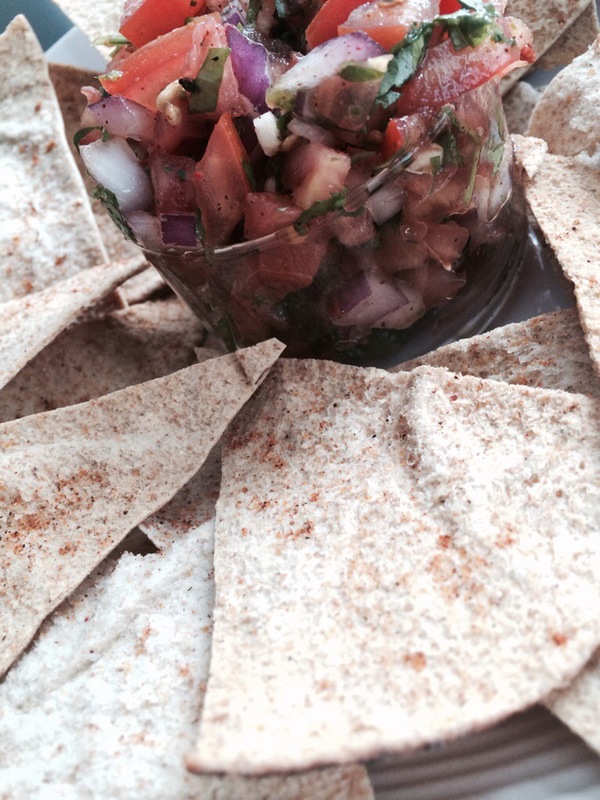 Place pitas in single layer on a cookie sheet and sprinkle with pink salt or spice of choice. Cook for 4 minutes and turn over and cook another 2 minutes until crispy. Serve right away or allow to cool and place in airtight container.